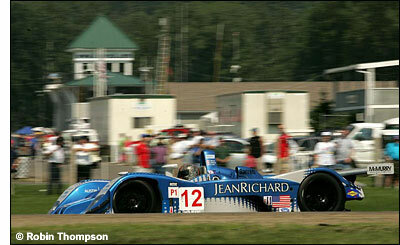 So Autocon is aiming to run a second EX257 / B01/60 Lola, in the 2007 ALMS. “Our second car will benefit from the experience we gained this year, and the ability to share data and development next season will be huge. It just makes sense all around to expand,” added Lewis. 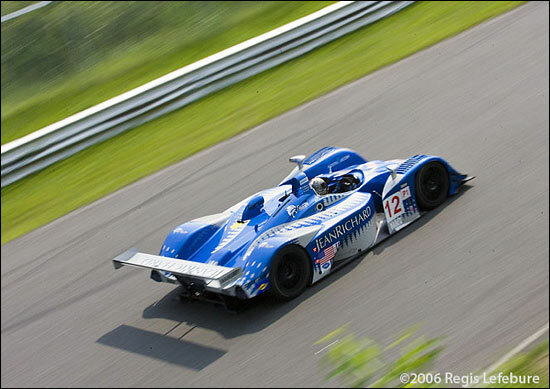 "The Lola is an outstanding race car capable of podiums and victories. We received our first car just prior to Sebring this year and it took a couple of races to start to realize its potential. Each event we attend puts us in a better position to exploit that potential. Next year will be even better." "We have the infrastructure in place to expand. As a leading privateer effort our overhead is less than the factory teams and that allows us to add the second car at a reasonable cost. We have not selected a driver lineup for the new car and are open to discussions with talented and funded drivers. We look for a three driver lineup for the longer events, Sebring, Petit Le Mans, and Mazda Laguna Seca, and two drivers at the remaining events. This allows for surprisingly affordable major league racing." "This has been the best year of my racing career, and a lot of it has to do with the Lola and the team,” said Chris McMurry. “It is a thrill to compete in a very competitive prototype on a world-stage with top quality television coverage where you mix it up with Audi, Dyson, Mazda and Penske, and next year with the factory Acura effort." So two Autocon Lolas will ‘mix it up’ with the Audis, Dyson Lolas, Porsches and Acura-powered prototypes – with the likelihood of another factory-based programme too. Lewis, McMurry and Bryan Willman aren’t afraid to take on the big-budget teams. Interested parties can receive additional information by contacting team owner Mike Lewis at lewism@atigrp.com. The images both show Chris McMurry at Lime Rock, where the Autocon Lola led the field after the full course caution.